About me – All about SQL Replication…. 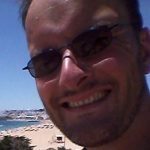 Hi – hola – bonjour etc – I’m Paul Ibison :). I created www.replicationanswers.com 15 years ago when I was a Microsoft trainer and got interested in replication. To help my students (and me) I began experimenting, testing and blogging about it all on my site, although strictly speaking I shouldn’t say “blogging” as it didn’t exist back in t’old days – these were the days of using Microsoft Frontpage 98 and HTML 4.0 and notepad to edit my CSS file. Anyway, looking at it recently I decided the site contents and style were looking a tad dated and confusingly the articles related to various versions of SQL from 2000 to 2016, so I’m now carrying out this project to update it all to SQL 2016 and in the process get to learn all about the wonderful world of WordPress – hence the spanky new-look site now. So, I’m expecting that in most cases you’ll find that the Microsoft site and the posts here and ReplTalk will be enough to overcome any special difficulties you might have when setting up and maintaining replication. However if you do want to hire a specialist consultant to help out please email me at PaulIbison@ReplicationAnswers.Com. I’ve emphasized “hire” above as my mailbox is full of people wanting me to remote onto their network and fix things but unfortunately I actually have bills to pay just like a regular person!